Long before Christian children began receiving gifts on Christmas Day, Jewish children were observing the Festival of Hanukkah. During the eight days of this Festival, Jewish children today play games and also say prayers, while the candles are lit on a Menorah. 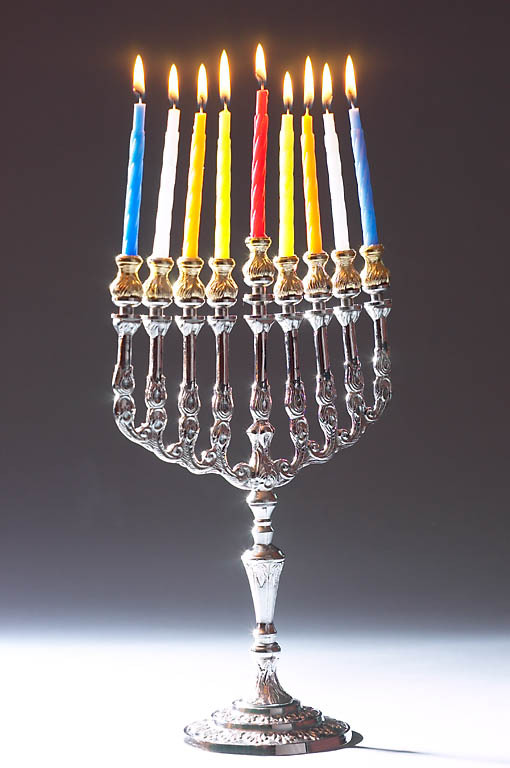 A Menorah has eight candle holders, plus a ninth elevated candle holder in the center. 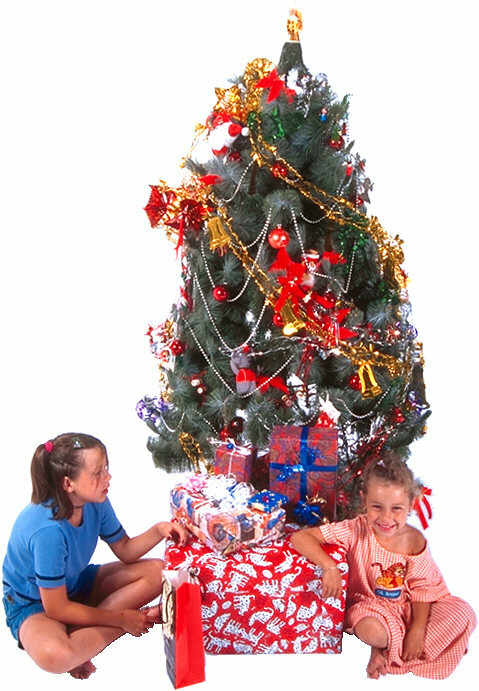 The parents of, Mary the mother of Yeshua/Jesus, were *Observant Jews (i.e., they celebrated all the Festivals). So while Mary was growing up she celebrated Hanukkah with them every year in November/December. When Mary became a young lady and was waiting to marry Joseph her future husband, the LORD gave her a prominent role in the Hanukkah-Christmas story. This is another name for the Messiah. Bethlehem was about 5 miles southwest of Jerusalem. He wrote the Book of Daniel. She was the mother of John the Baptist. These were the Levitical Priests. These were the Kings of Judah. He was John the Baptist. He was the Husband of Mary when Yeshua/Jesus was born. Nazareth was about 90 miles north of Jerusalem. The Sabbath Candles are lit while the sun is going down. This candle could only be used to light the Sabbath candles and the eight Hanukkah candles. This was the place of worship in the various cities throughout Israel. The Feast of Tabernacles was celebrated in September or October. At this time in history, planets were called Wandering Stars because they appeared to move between the constellations. He was the father of John the Baptist. 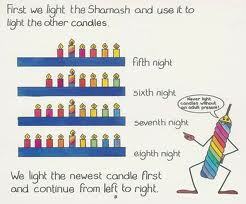 The Shamash is only used to light the Sabbath candles and the eight Hanukkah candles. The Feast of Tabernacles was celebrated around September or October. Joseph was the Husband of Mary when Jesus was born. Daniel wrote the book of Daniel. All the Kings of Judah were from the House of David. Zacharias was the father of John the Baptist. The Levitical Priests were all from the House of Aaron. The "Anointed One" is another name for the Messiah that is called "The Christ" by the Church. Synagogues were a place of worship in the various cities throughout Israel. © Copyright 2011, Westerly Tressler, All Rights Reserved. Mary awoke and bounded out of bed! She quickly dressed and hurried to her mother's side. Mother had started a fire to warm the house, and was already baking things for the family to take to a Hanukkah celebration. "Mother," Mary said, "I wish you and I could go to the Hanukkah party too." Mother replied, "It's your turn to stay home and care for our animals, Mary." "I know," Mary sighed. "I'm thankful you always stay home with me or my sisters whenever it's our turn to stay home." Mother said, "It's not safe for a beautiful sixteen year old girl to be home by herself." Soon, it was time for the family to leave. After they had left, Mary asked, "May I decorate the table for our own Hanukkah celebration?" "Yes," Mother replied, "I'll simply do some sewing while you decorate and set the table." "After I finish," Mary promised, 'I'll take care of the animals." Mary baked some bread and cut some fruit and vegetables. When Mary was done, she asked, "Mother, may I set the table for three people in case a special guest shows up? Even though Joseph lives in Bethlehem, I was hoping he might visit us here in Nazareth tonight." Mother answered, "That's a good idea, Mary." Then Mary asked, "And may I also light the first candle on the Menorah?" Mother replied, "You may perform the entire Hanukkah ceremony tonight, Mary, because next year you may be doing this for you and Joseph." Speaking softly to herself, Mary said, "A white tablecloth and Mother's special plates are needed. The Sabbath also begins tonight at sunset, so two Sabbath candles must be placed at the head of the table....and the Menorah will need nine new candles." Mary spread the Hanukkah cloth on the table. On it she placed three dinner settings. She put one plate at the head of the table and placed the two Sabbath candles directly in front of it. Then Mary took the Menorah from a window ledge and placed it in the middle of the table. The other two dinner settings were placed on each side of the Menorah. Next she put four candles into the candle holders on the right side of the Menorah, beginning with the holder on her right. Then she skipped over the elevated center holder and put four candles into the holders on the left side of the Menorah, ending with the one on her left. After she had placed the Shamash ​(i.e., a service candle) into the center holder, she said, "Mother, I know it's early, but I want the animals fed and watered before it's time for the Sabbath candles to be kindled." Then whispering softly to herself, she wishfully said, "Joseph, you may sit across from me. I'll be back as soon as I finish feeding the animals." "No!" Mary called back. Then she quietly added, "I'll merely imagine I'm doing this for Joseph and me." As Mary stepped outside, the sun broke through the clouds in the western sky. Inspired by the clearing sky, she chanted some psalms of praise to the LORD, while she fed and watered the animals. Then as the sun neared the horizon, she returned into the house. "Mother," she asked, "Is it time for you to light the Sabbath candles?" Her mother answered, "This is a special night, Mary. It will not only be the first night of Hanukkah, but it's also going to be the beginning of the Sabbath." "I know," Mary responded. "The Sabbath candles must always be kindled before any other lights are lit, except when the first night of Hanukkah falls on a Sabbath. So tonight we'll use the Shamash to light the first candle of Hanukkah, and then we will light the two Sabbath candles. "Blessed are You Lord God, who is King of the universe and is He who has set us aside with His Ten Commandments and ordered us to kindle the Hanukkah candles. You performed miracles for our forefathers during this time, and You have also sustained our lives and allowed us to celebrate this Festival." Then she added, "And please perform another miracle by sending our Messiah to us very soon!" ​ Mother noticed the added prayer but did not say anything. Mary leaned forward and touched the flame of the candle she was holding, to the wick of the candle on the right side of the Menorah. It burst into flame as though it could not wait for the Shamash to touch it. Both Mary and her mother gasped in surprise. After watching the candle burn for a few moments, Mary held the Shamash toward her mother, so she could use it to light the two Sabbath candles. But her mother said, "You may light the Sabbath candles in my place, Mary." "Blessed are You Lord God, who is King of the universe and is He who has set us aside with His Ten Commandments and ordered us to kindle the Sabbath candles." Then she exclaimed, "Look how brightly all the candles are burning, Mother!" Mother replied, "Father must have added something to the tallow to cause them to burn so brightly!" Mary suggested, "Maybe the LORD is looking with favor on our nation tonight? Father believes the coming together of those two Wandering Stars during Pentecost last spring, and again during Tabernacles this past fall, were signs for the Messiah's arrival." Mother added, "It may be that our prayers for the LORD to send the Messiah to Israel will be answered soon. He may also be looking with favor on our household tonight." Mary did not say anything as she returned the Shamash to its elevated spot in the center of the Menorah. Then she turned to her mother, and said, "As usual, the winter weather has been rainy and dreary so we haven't seen the sun and stars for many days. However, the sun is shining this evening, so I'd like to enjoy the sunset and look for the first stars as they appear in the sky." Mother responded, "I'll come with you." When they stepped outside, Mary exclaimed, "Look how serene the evening sky is! I have such a strange and wonderful feeling in my heart. It's as though I could reach out and touch the Glory of GOD." As they gazed into the eastern sky one little sparkle of light peeked through the pale blue canopy of space. Soon another one nudged its way through the blue. They continued watching while several more stars made their dainty entries into the heavens. Then Mary pointed toward the eastern sky, and said, "Look! 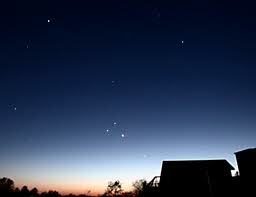 Those first two stars are the Wandering Stars that came together during Pentecost and again during Tabernacles!" Suddenly, someone ran up to Mother, and exclaimed, "My daughter is ready to give birth to a baby! I need your help!" Mary's mother agreed to go with her friend. Mary stayed outside to observe Jupiter and Saturn repeating their conjunction for the third time in seven months. Soon the blue background of the starlit sky darkened, and a visible beam of light from the two planets seemed to be reaching down to where she was standing. She felt afraid with her mother gone, so she went into the house. The house was silent and lonely. To overcome her loneliness she placed all the food on the table. Then she said, "Now everything is ready, so when Mother returns we can finish our Hanukkah celebration." Mary sat down on her cushion with her legs crossed in front. The first candle of Hanukkah was still burning brightly. But the light from the Shamash in the center of the Menorah held her attention; and it began growing brighter and brighter. Its brilliance fascinated her, so she continued gazing into the shimmering flame. Soon she imagined Joseph was sitting across the table from her, so she began talking to him. "Joseph," she asked, "why do we use an eight-candle Menorah to celebrate Hanukkah?" In her mind she knew how Joseph would answer. "About 160 years ago the Altar in front of our Temple was desecrated by the king. A new Altar was built so we could rededicate the Temple Sanctuary, which had also been defiled. 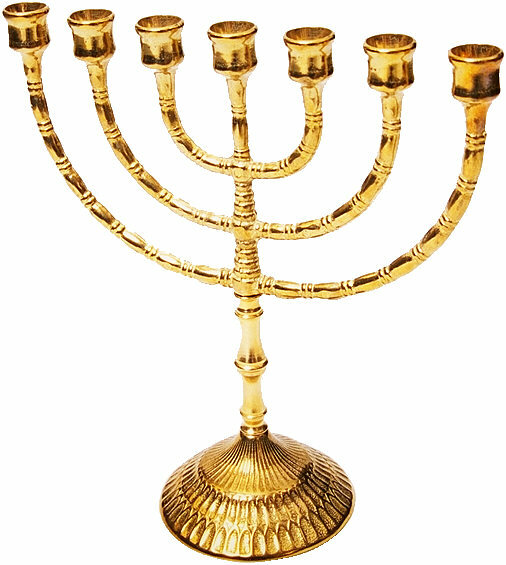 The large seven-branch Menorah in the Holy Place of the Temple also needed to be lit for the 8-day rededication ceremonies. But the priests could only find one vial of holy oil. That would keep the seven lamps of the Menorah burning for only one night. However, that one vial of oil kept all seven lamps burning for all 8-nights. That was the miracle of Hanukkah. So we light an 8-branch Menorah to celebrate the 8-nights that the seven lamps burned." Mary's fantasy faded as she remembered that the angel told Daniel the Messiah would soon be born. She began praying to the LORD for his quick arrival, saying, "There are many young women from the House of David that would gladly be the mother of our Messiah. Please honor one of them very soon for this purpose....and in spite of my stubborn ways, please allow me the privilege of seeing and holding him." Suddenly, the flame of the Shamash changed into a glorious glow and she heard a soft, brushing sound. "Joseph? Is that you?" she asked, trying to see through the shimmering light. But she was unable to see anything after staring at the flame for such a long period of time. "Shalom!" greeted a voice. "You who are highly favored! The LORD is with you!" "Who....who are you?" Mary stammered. "And....and what do you want?" "I am Gabriel!" he announced. "Do not be afraid, Mary, for you have found favor with the LORD. You will be with child and give birth to a son. You will give to him the name, YESHUA (i.e., Jesus)! He will be great and will be called the Son of the Most High. The LORD will give him the throne of his father David, and he will reign over the house of Jacob forever. His kingdom will never end." Mary anxiously asked, "When is this thing supposed to take place?" The angel answered, "The Spirit of the LORD will come upon you, and the power of the Most High will overshadow you through the 8thDay of Hanukkah. The Holy One to be born will be called, the Son of God." Mary questioned, "How is this possible since I'm not yet married to Joseph, my betrothed husband?" "Nothing is impossible with the LORD," answered the angel. "Even Elizabeth your close relative is going to have a child in her old age, just as I informed Zacharias in the Temple Sanctuary. She who was said to be barren is now in her 6thMonth." Mary was frightened by this encounter with the angel, but she responded, "I am the servant of the LORD. May it be to me as you have ordered?" The angel departed, and Mary sat pondering about what the angel had said. Then she softly asked herself, "Can this really be happening to me? My mother is a descendent of King David, but my father is a priest from the House of Aaron. How is it possible that the LORD could have chosen me to give birth to His Anointed One?" Mary was still sitting cross-legged on her cushion, when her mother returned from helping their neighbor deliver a baby. Mary attempted to hide her tearstained face, but with an air of concern, Mother asked, "What happened while I was gone, Mary?" Mary replied, "I was staring at the Shamash, and I must have started dreaming." Then her mother asked, "Did you have a visitor?" Mary hesitated, and then admitted, "At first I was making believe I was talking to Joseph. But he wasn't Joseph. An angel talked to me and I talked to him. I saw him sitting across the table from me. Yet thinking back, everything seemed so....so make-believe!" Mother looked into Mary's eyes, and asked, "Is this simply another of your fairytale dreams? Did he tell you his name?" "Oh Mother!" Mary whispered. "He said his name was, Gabriel!" Her mother's words changed from words of doubt, into a serious question. "What else did he say to you, Mary?" Mary replied, "He told me I had found favor with the LORD, and I will give birth to a child. I'm supposed to name him YESHUA, because he will be great and will be called the Son of the Most High." Mother asked, "Did he say when this might happen? And did you inform him you won't be married to Joseph until next spring?" Mary answered, "It's supposed to be completed on the 8thDay of Hanukkah. He told me the Spirit of the LORD will come upon me, and the power of the Most High will overshadow me." After a few minutes of silence, Mother said, "Whenever the LORD reveals something to his servant, he always gives them a sign. Did the angel promise you a sign, Mary?" Mary responded, "I don't think he gave me a sign. I'm sorry Mother. I must have been dreaming. But it seemed so real at the time. He even mentioned Father's oldest sister, Elizabeth." Mother asked, "What about Elizabeth?" Mary replied, "That's why I think I must have been dreaming. He said she's going to have a child in her old age, and she's already in her 6thMonth." Mother thought about that, and then said; "I didn't hear anything about Elizabeth when we attended the Feast of Tabernacles in October. If anyone as old as she had been with child at that time, I'm sure we would have heard the news." Mary and her mother continued to sit and talk, while they ate their Hanukkah meal in front of the burning candles. Later, they watched as the flickering flame of the first candle of Hanukkah, struggled to prevent itself from drowning in its little puddle of wax. Only the Shamash and the two Sabbath candles continued radiating their brilliant light. Mary started to comment that the Shamash looked as though none of its wax had melted, and it was just as tall as it was when she kindled it in the fireplace. But a commotion outside the house interrupted her thought. Mother stood and walked over to the door and removed the bolt. Father spoke first, saying, "There's something special going on in the sky tonight. Do you remember how the two brightest Wandering Stars came together during Pentecost, and then again during the Feast of Tabernacles? Well, the clouds went away just before sundown, and guess what? The same two stars have begun touching each other again. It's the third time in just seven months. It's as though the LORD is giving us a sign that the Messiah is about to come to his people!" Mary's mother responded, "I hope that's what the sign means!" Father continued his thought. "As you'll recall, when the two stars appeared during Pentecost, an angel appeared to Zacharias in the Temple Sanctuary. He told Zacharias he would have a son who would prepare the way for the Messiah. Speaking of Zacharias, I have some news you'll find difficult to believe. It was announced at the Hanukkah celebration that my oldest sister Elizabeth is with child! Right now she's in her 6thMonth! Zacharias and Elizabeth kept it a secret for the first five months, because they didn't want to publicize it until they were sure it might really happen. Not only that, but Zacharias sent word he wants Mary to visit them before the Passover, so Mary can be there when Elizabeth's baby is born!" Mary buried her face in her hands, and began weeping uncontrollably. Mother walked over and held Mary closely. "An angel always gives a sign," she said, "and he gave you your sign." Father asked, "What are you talking about? And why did you replace the Shamash and Sabbath candles with new ones? Wouldn't it have been better to have ignited a lamp?" Mother replied, "Those are the same candles Mary kindled before sundown. As soon as the children are in bed, Mary and I have a lot to tell you, Father." The next afternoon the family attended the combined Hanukkah and Sabbath services at the Synagogue. At sundown all the worshipers returned to their homes instead of gathering in the town square to meet and chat with friends, as was the custom after the end of a Sabbath. The 2ndNight of Hanukkah was about to begin, and the first and second candles on the Menorah must be kindled as soon after nightfall as possible. When Mary's family arrived home, Father said to Mary, "Your mother and I think you should kindle the Hanukkah candles for the rest of this Festival." "Blessed are You Lord God, King of the Universe, who will sanctify the conception of the Messiah in the second month." Mary was surprised that neither her father nor mother questioned why she had changed the Hanukkah blessing. Her siblings however, ignored her changes. They assumed she had said it according to tradition. She held out the Shamash and touched the wick of the second Hanukkah candle, which instantly burned very brightly. Then she kindled the first candle. This time the light of the first candle was normal. On the 3rdNight of Hanukkah, she said the same blessing, but ended it with, "In the 3rdMonth." Then she kindled the candles, beginning with the third candle. The third candle burned brightly, but the second and first candles simply burned normally. This sequence of prayers and lighting of the candles was repeated on the next four nights. On the eve of the Sabbath that commenced the 8thNight and final day of Hanukkah, Mary asked, "Are you planning to use the Shamash to kindle the Sabbath candles, Mother?" "Please light them for me," Mother replied. "Blessed are You Lord God, who has commanded us to kindle the Hanukkah candles, and who will sanctify the conception of the Messiah in the 8thMonth." "Blessed are You Lord God, King of the universe, who has set us aside with His Ten Commandments and ordered us to kindle the Sabbath candles." "Bless your handmaiden when the promised miracle is completed on this day, and provide me with the resolve to endure the appalling reproach this honor will heap upon me." "Blessed are You Lord God, King of the universe, who will keep the Messiah through the ninth month and enable both of us to reach that season." On the following morning, Mary asked; "Father, when are you planning to take me to Zacharias' home, so I can spend time with Elizabeth?" Heli answered, "We'll leave a little earlier for the Passover this coming spring. That way your mother and I can take you to Zacharias' home in the hill country of Judea, and we can spend some time with them before entering to Jerusalem to take part in the Temple services. You may stay with my sister until after her baby is born. We can pick you up after the Feast of Unleavened Bread has ended, or you may stay until Pentecost has ended, and I'll pick you up when I leave for Nazareth." In the spring, the family joined an early caravan to make the trip to Jerusalem for the Passover. As the caravan neared Jerusalem, Heil and the family left the caravan and traveled to Zacharias' home. When Mary greeted Elizabeth, Elizabeth was filled with the Spirit of the LORD and the baby leaped in her womb. 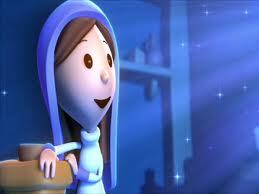 She was happy Mary had come to visit and be with her for the birth of little John. About two weeks later, following the Feast of Unleavened Bread, Mary's family stopped by Zacharias' home to see baby John, and to be sure Mary wanted to remain there until after the Day of Pentecost. Mary told her father, "I want to remain with Elizabeth until after Pentecost. But I also want to know if you told Joseph about what has happened to me?" Heli replied, "Joseph asked about You, but I never mentioned your encounter with the angel." About two months later, Heli met Joseph in Jerusalem during Pentecost. On the 1stDay of the Festival, he told Joseph that Mary was with child and in her 6thMonth. Mary's father never mentioned her encounter with the angel. Instead, he simply asked Joseph to seek guidance from the LORD." Heli asked, "Is that your decision then?" "No," Joseph replied. "Last night something happened that changed my attitude and directed my decision." "What was that?" asked Heli. Joseph answered, "You'll probably think of me as a foolish young man who's making something up, because I don't want to loose Mary as my bride. Anyway, I had a dream. An angel appeared in my dream and told me not to be afraid to take Mary as my bride. He said her child was from the LORD. I asked him what sign he would give me to confirm this, but he simply left and I awoke." Then Heli told Joseph about the angel's visit to Mary. He concluded with, "The angel told her what to name the child." Joseph asked, "What name did he tell her to give him?" Heli replied, "I believe I should let her tell you"
Joseph responded, "The angel also told me what to name the child. If the names are the same, that would be my sign from the angel!" When Heli and Joseph arrived at Zacharias' home, Mary informed Joseph the angel had told her to name the baby, YESHUA (i.e., Jesus). The names were the same, so Joseph knew the name given to him by the angel was his sign! The alignment of five(5) Festivals, that began when the Lunar High Sabbath of Passover fell on a 7thDay Solar Sabbath in 7BCE; reveals Yeshua/Jesus was conceived during Hanukkah. This is documented in chapter 11 of Forty-Two Months. Hanukkah is known by Jews as the Festival of Lights, but the Church calls Hanukkah the Feast of Rededication. THE CONCEPTION: In 7BCE the 1stConjunction of a once every 900-year triple conjunction of Jupiter and Saturn greeted the appearance of the angel Gabriel to Zacharias in the Temple Sanctuary during Shavuot (Day of Pentecost), on Sunday, June 4th & Sivan 6. The 2ndConjunction occurred during Sukkoth (Feast of Tabernacles) in October. The 3rdConjunction greeted the visit of Gabriel to Mary on the 1stNight of Hanukkah, on December 15 & Kislev 25, in 7BCE. The conception of Yeshua/Jesus was completed, on December 23rd & Tibet 2, which was the 8thDay of Hanukkah. Both Lunar High Sabbaths of Hanukkah aligned with 7thDay Solar Sabbaths. THE BIRTH: Yeshua/Jesus was born 280 days (i.e. 40 weeks or 9 months) after the 8thDay of Hanukkah. His birth occurred on the night of, September 28th & Tishri 15, in 6BCE, which was the Lunar High Sabbath of Sukkoth (this is the 1stDay of the Feast of Tabernacles). It was also a 7thDay Solar Sabbath, so the two Sabbaths were aligned! THE CIRCUMCISION: 7-days later, a single, once every 805-year conjunction of Jupiter, Saturn, and Mars led the Wise Men to Yeshua/Jesus. They arrived during the night of the Lunar High Sabbath of Shemini Atzeret (The 8thDay of Sukkoth), on October 5th & Tishri 22, in 6BCE. On the following morning, October 6th and also a 7thDay Solar Sabbath, Yeshua/Jesus was circumcised and formally named. It was still Shemini Atzeret and the Wise Men (i.e. Jewish kings who were likely sons of King Hezekiah) presented their gifts during the ritual of circumcision. Again, the Sabbaths were aligned. THE ENTIRE NATIVITY: The above postulates have been logically compared with astronomical moon data charts produced by the U.S. Naval Observatory. So Yeshua/Jesus was conceived during the Hanukkah Festival of Lights and he was born during the Tabernacles Festival of Lights. The LIGHT OF THE WORLD fulfilled both Festivals of Lights! Then following Mary's 33-day purification rites (plus 1-day to travel the five miles from Bethlehem to Jerusalem), Yeshua/Jesus was dedicated at the Temple on Saturday, November 10th & Hesvan 27, in 6BCE. So the "Pattern of Six Nativity Festivals" began and ended with an alignment of Five Sabbaths, plus one added 7thDay Solar Sabbath for the Dedication. Was this an accidental pattern? Or did GOD design it?